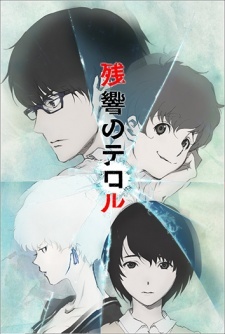 Terror in Resonance kicks off its first two episodes leaving us with a great deal of mystery and intrigue. It’s leaving us with just enough of a trail to follow to keep us interested but at the same time not giving nearly enough away. It’s thrilling and never slows for breath, yet it has an astounding amount of depth to it already. It reminds me of Death Note in the best possible ways and that excites me all the more. This show is building up my hopes, hopefully not to crush them as we go on. Terror in Resonance is a dark series, it’s focused on two characters that by all rights shouldn’t even exist, and yet they do and have every intention of waging war on the world. By the second episode it’s the police firmly against the terrorists, Nine and Twelve, which reminds me all the more of Light and L facing off in Death Note. Nine and Twelve are kids and smug and think they know it all, yet the two are every bit as smart as L and Light and the series will have you on the edge of your seat waiting for one of them to trip up in even the slightest. The animation has been handled brilliantly by MAPPA. It’s clear the show has a high budget and is running with it. Action scenes are handled with a great deal of attention to detail and character designs are smooth and easy on the eye. Mix in Yoko Kanno’s masterful soundtrack and you have a brilliant series to watch and listen to. Her tracks create a chilling atmosphere where they need to, and accompany the action perfectly when expected. My only concern with Terror of Resonance right now is the fact the series is only slated to run for 11 episodes. At the pace it’s going it can certainly do something quite interesting, but can the series keep it up for the whole run and does that leave it with enough time to explain everything it needs to? If it can then it will more likely than not become the show of the season and one of the best show’s this year, but we’ll have to wait and see what happens there. For now I’m enjoying the thrill of the chase and watching just how things play out. Terror in Resonance is without a doubt a big hit with me currently. 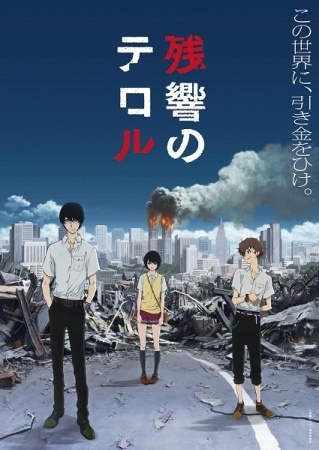 Terror in Resonance is currently streaming to the UK via Wakanim.